We’ve lived on Stewart Island for well over 40 years and as well as our own comings and goings were actively involved in coordinating our guests travel arrangements when joining and leaving our charter yacht Talisker. This initial experience plus the close relationships we have built up with a whole raft of other operators based both on Stewart Island and on the “Mainland” help us make our guests stay at Sails Ashore and Kowhai Lane hassle free and memorable. We also listen closely to our guests experiences and are guided by this. Of course if we can help with what you’d like to do we’ll be happy to assist, but we may also suggest other ways of doing it. We do not make bookings but suggest that you contact the operator directly. You’ll pay the operator concerned directly. We don’t take commissions. Travelling to Invercargill by Plane ?? Connections don’t always work that well and you may have an extended wait in Invercargill. Don’t despair, there is lots to do to fill in a couple of hours………. Enquire Stewart Island Flights +64 3 218 9129 Click to visit Flights web site. And our Guests enjoy a 10% discount when flying with Stewart Island Flights. Executive Car Service operates from Invercargill Airport and can either shuttle you to and from or can hire you a car short term. Phone Falun and Gary on 03 214 3434, or 027 221 6259 or email them at exec.car.service@xtra.co.nz . check your luggage into your next flight and Executive Cars will be happy to drop you off at one of the following attractions, and pick you up in time for your departure !! A great way to spend a couple of hours between flights. 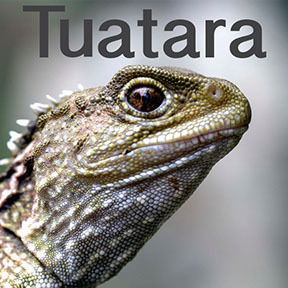 Displays include “Henry the Tuatara”, “The Southern Ocean” and many more. And there is a great Cafe as well. See Burt Munro’s “Fastest Indian” The genuine article, as well as an amazing collection of motorcycles and vintage small machinery. Hayes are Hardware Merchants, and their shop is justifiably famous in Southland at least. 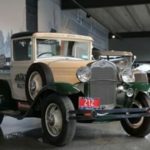 Bill Richardson’s Transport World and associated Motorcycle Mecca are another “All Day or several days” attraction, and a couple of hours spent enjoying their displays will have you marking your book for a longer return. Dig This is an experience quite unlike any other. All guests to Dig This Invercargill have the opportunity to operate bulldozers, excavators, mini excavators and skid steers in a giant gravel pit. 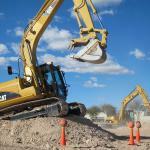 Don’t worry if you haven’t driven heavy machinery before, the experienced team at Dig This Invercargill will show you how. You don’t even need to have a driver’s license! be like when I visit​ If we could answer that we would be a very wealthy. Our weather is very changeable. Plan for damp and pray for sun. You will probably get both, and often on the same day. What clothes should I bring . Layers are best. A light water proof, good walking shoes or heavy sneakers & maybe a warm hat. Stewart Island is not a fashion statement…. we do casual. I have a lot of Luggage, can I bring it on the plane Best not. Pack what you need for the Island. Stewart Island Flights will be happy to store the rest. How long should I stay on the Island Sails Ashore minimum stay is 2 nights, Kowhai Lane 3 nights. And really the Island is worth that and much more. If you like walking the local short walks alone will take you several days to enjoy them all. In some circumstances we may relax the 3 nights rule, but not less than 2 nights. I have limited mobility, can I enjoy the Ulva Tour As long as we can get you on and off the water-taxi then I’m sure you will love Ulva. Depending on your mobility we may need to look at an exclusive tour for you. Please discuss this with us when booking. In general the walk is very easy and relaxed, and we have taken wheelchair guests and one who had a leg off at the hip. I have special dietary requirements We do need to know about these when you book, and will discuss these with you. Remember this is an Island, with a single local grocery shop, and choices are limited. It may mean you have to bring your own specialist requirements. Can I bring my car The short answer is no, but you can hire a vehicle here. Best to book before you come. Both Sails Ashore and Kowhai Lane Lodges are within a few minutes stroll of the water front and the central village. I am leaving on a late plane or ferry, what do I do with my luggage After your 1000 check out we will take your luggage to either the plane or ferry terminal where there is suitable storage for you. And we are happy to then drop you off at the start of one of the local walks …. a good way to spend a couple of hours… no charge. I do not speak English, do you have interpreters No, I’m sorry, we do not. Our Ulva Tour in particular is quite language intensive, and we strongly recommend that guests have at least one person in the party with reasonable English skills. We may also require non-English speaking parties to have an exclusive tour, so as not to impact on others in the party. This may incur an extra charge. Can I decide when I go to Ulva This may not be possible, as we look carefully at the weather and of course there may be others in the party. We can do exclusive tours which may accommodate special timing requests. This service will add an extra cost.